The direction my thoughts are going in might be a stretch for the prompt today, but I’m just going to run with it because it’s SoCS and it’s best not to overthink it (which I have a huge tendency to do). I’ve been watching a lot of the Olympics this week, but sometimes I find it rather odd. I’m watching sports that I would never just sit down on a random Saturday and watch. They just really aren’t that interesting to me; but you add in the Olympics and the really high stakes (are the stakes really that high, though?) and you get this strange excitement to see someone do well in the competition. The other thing that makes it fun is that the commentators usually go into it with a clear favorite, but sometimes a random person they weren’t expecting busts through and shocks not just themselves, but literally everyone. It really can be enjoyable, or maybe I’m just a highly competitive person and I like watching highly competitive sports. We were talking about the medals they receive and sort of wondering about them. My fiance said that they aren’t pure gold; it’s really just a coating, but it made me think. Does it matter? Are they really earning those medals for the value? I think I’ve heard stories of people cashing them in, but I don’t think there are a lot out there. I believe there are some things that don’t have a value, no matter how much they’re worth. This thought, in turn, makes me think about my job. I’ve had this thought before, but I find it so fascinating. I work with millions of dollars… not literally, but on paper. But even if it was literally, I don’t think it would change how I see it. I processed paperwork for an invoice a few months ago that was almost $800K. As huge as that dollar amount is, though, I wasn’t thinking of it in terms of cash… it was just a number or a transaction; just a piece of paper that I was processing really. I don’t even think of it in terms of, “How would it be to have that much money?” It’s strange that we can be around money and work with it, but it doesn’t necessarily become personal like that. I would love to have more money than I do; I think we all would. But I suppose at the end of the day, it’s all about perspective. 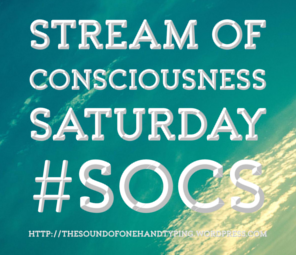 This rather random post is brought to you by Stream of Consciousness Saturday which is hosted by Linda G. Hill. “Your Friday prompt for Stream of Consciousness Saturday is: “cash.” Use it in your post as a noun or a verb… or a name! 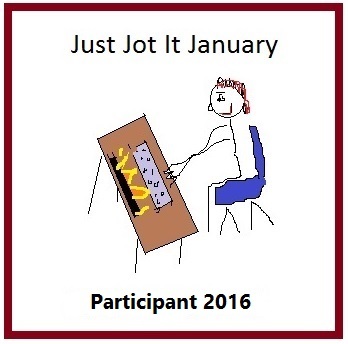 Enjoy!“ Feel free to click the link and join us in our stream of consciousness writing. Oh, and check out our cool new badge! I didn’t win with my entry, but there were so many good entries (including the winner below), that I’m not sad about it. ← It’s Time To Vote for the 2016-17 #SoCS Badge! Yes, makes sense to me. I used to work at the bank and often felt the same way. If you start to think about it too deeply, it becomes surreal. “I will now use this paper and the Enter button to remove half a million dollars from a person and with another piece of paper and the Enter button, I will give it to someone else.” How bizarre. I don’t care much for the Olympics myself. I understand competition and pride for representing one’s country, but it all seems a bit silly for me. I guess I’m just really not a big sports and athletic type person. Or I don’t feel pride when Canada wins a medal. I don’t know. I wish I earned a little more of my own money, which made me uncomfortable to participate in SoCS this week for some reason. 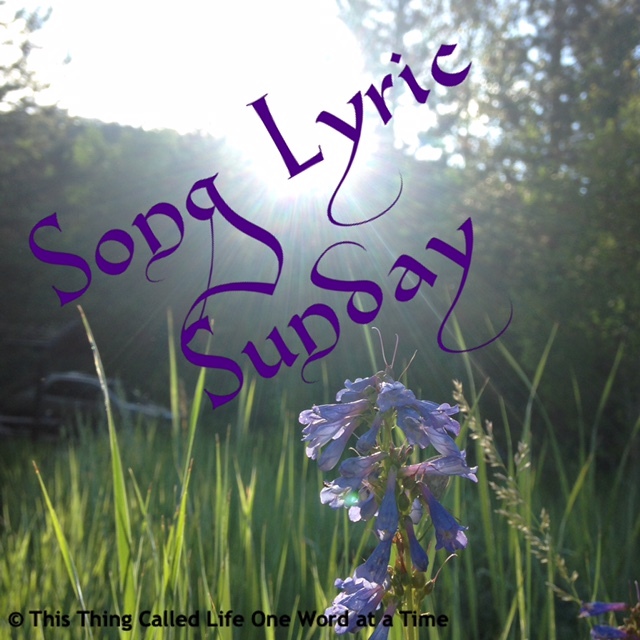 I just came over to check if there was a Song Lyric Sunday post up yet. Now music is more my thing, but although some are the lucky few who can earn cash from either sports or music, I am not one of those, yet. Still working on writing song lyrics, so maybe one day. I feel like you do. I love the Olympics just to see what they go through to win. The time it takes to prepare is overwhelming. But then that is what makes a good Olympian, right? Beautiful example of my life’s mission…learning and teaching how to do just that!